More capacity for the new Zunes, but will the software be upgraded too? The new version of Microsoft's large capacity Zune looks set to be priced at $249. This is the same price that Apple is currently charging for its 80GB iPod in the US. 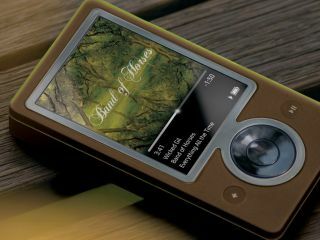 The Zune 120GB portable media player (PMP) was not expected to be any different from its predecessor other than in its increased memory, but some industry gossips have suggested that Microsoft has used the opportunity to make some software changes too. The PMP could do with some positive publicity especially after its unofficial standard bearer – the Zune Guy – switched allegiance to the other side. Microsoft is reportedly looking to revitalise its PMP's content. According to Richard Winn, director of entertainment development at Zune, it's searching for "non-conventional programming that can capitalize on the device's social networking platform." Good luck, we say. The rumour mill also suggests that a blue flash 8GB Zune will soon be available for $149.